– Heat saute pan over medium heat and add 2 tablespoons of olive oil. – Add sliced mushrooms and onions and cook until tender or about 5 minutes. – Add fresh rosemary and cook for an additional minute. – Heat 1 teaspoon of oil in a small saute pan. 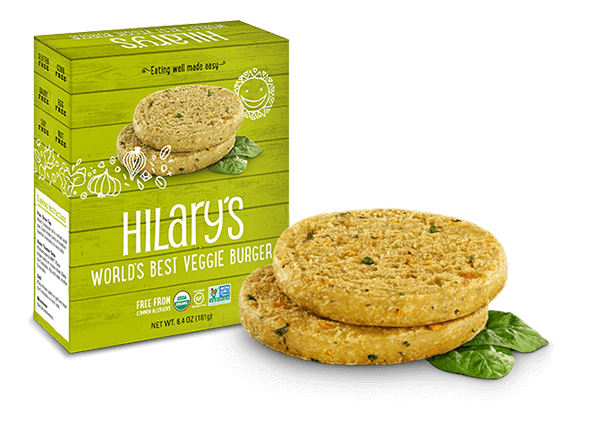 – Cook frozen Hilary’s World’s Best Veggie Burgers on medium heat for 3 minutes on each side. 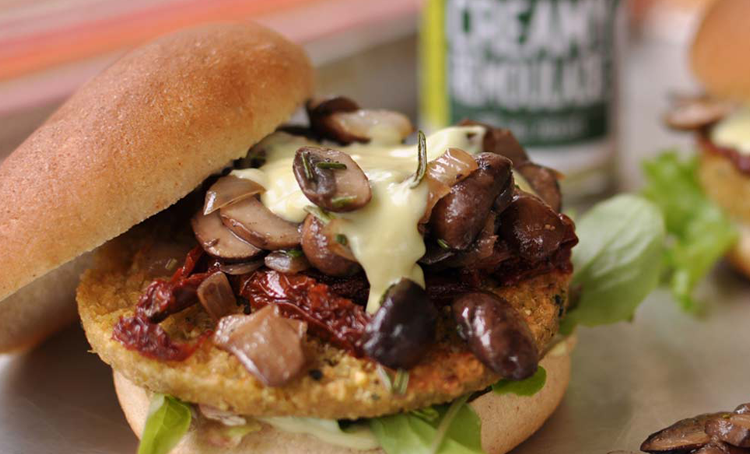 – Top with lettuce greens, cooked burger, sliced sundried tomatoes, cooked mushroom and onion mixture. Finish with the bun and devour!